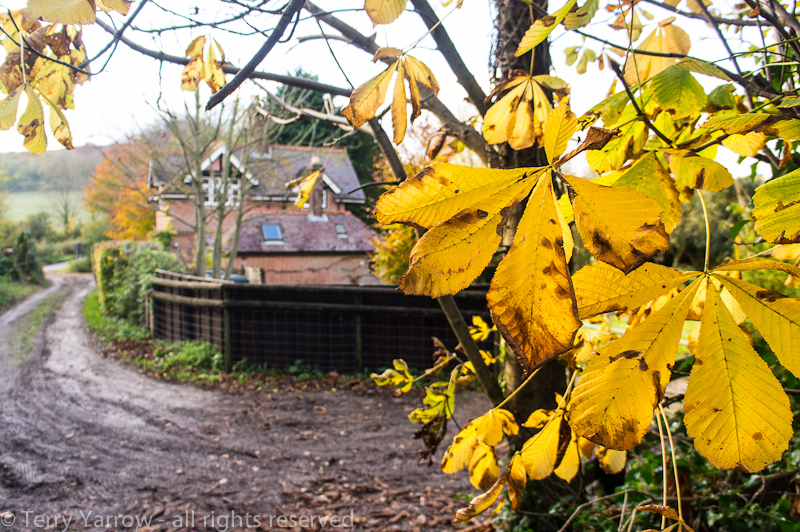 Of a village with two names, autumn fruits and foliage, hill forts and hedgerows, and being older! 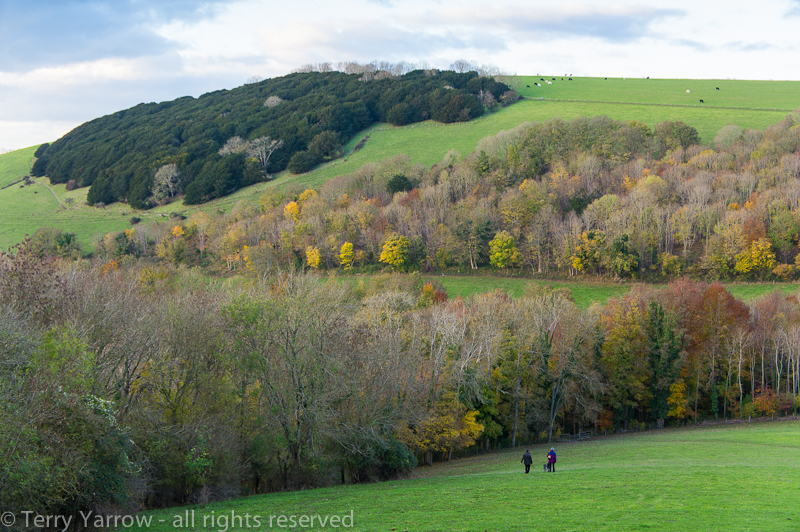 It was one of those sharp, chilly autumn days and within five minutes I was thinking, ‘I hope I’ve got my gloves in my rucksack’! Fingers were already stinging and the wind was cutting. 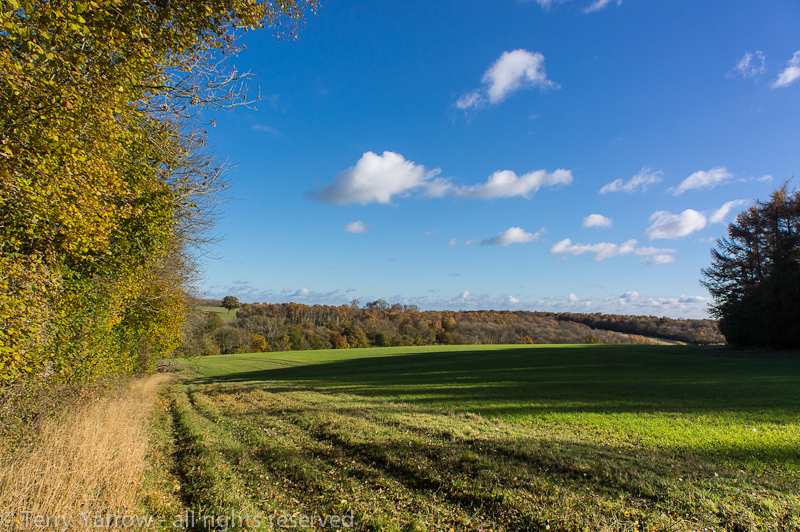 But it was also one of those fabulously crisp, clear and sunny autumn days that make you want to walk. I was glad to be out! 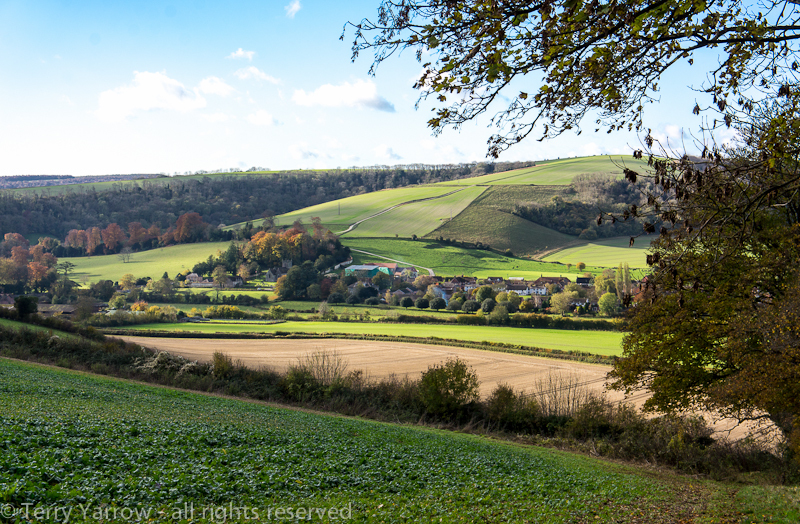 My walk started in a Dorset village with two names – that is to say, it started life with one name but at some point changed its name so that today both appear on the sign. It was famous for its annual fair which was once described as, ‘One of the main Dorset events of the year’ – but it has long since faded into history. On the large green in the village centre, autumn was very evident. I love strolling through these old villages, just taking in the sights and names that speak of times gone by and I wonder what life was like in those early days. Some street names give away their past, streets such as Telegraph Street, Main Street, The Corner and so on but others such as Frog Street are less obvious. Was there perhaps a pond there laden with frogs? House names are the same, The Old Bakery was clearly the local supplier of bread in the days when public transport was non-existent. It took me back to my younger days when there was a shop on every corner and all our shopping came from those. It was just part of life for my mother to send me to the corner shop even at a young age to buy a packet of Brooke Bond tea or some bricketts for the fire. There was even a cobbler within walking distance and we used to have our shoes repaired rather than buy new – well we couldn’t afford new! In fact, often, we couldn’t even afford a repair so resorted to buying stick on rubber souls and a pot of glue, or in even leaner times, we would cut insoles out of whatever cardboard we could find as a temporary fix although they didn’t keep the water out for long! How times have changed – it makes me feel old! With all these thoughts about shoes going round my head, it made me think about my feet and I realised that already they were getting damp as my walking shoes were leaking. Ah well, into the dustbin they will go – well we do live in the disposable age! Leaving the village, my route climbed gradually up onto the hill top and I took a look back at the village spread along the valley floor. Reaching the edge of the hill top forest, I looked up to see a large bird of prey, another event that made me think of age…….as I had forgotten to pick up my binoculars – actually I am not sure that my forgetfulness is necessarily down to age! As it happens, its plaintive cry on the wing gave it away as a buzzard, and that cry was to follow me for some miles. The light streaking through the trees was a delight and I stood for some time watching the squirrels running around the tree top super highways. Have you ever watched them? Their agility is amazing as they run out onto the flimsiest twig and leap into space to land on the very tip of another flimsy branch on the next tree, never stopping for a second. It was mesmerising watching them. There was evidence everywhere of the forestry activities with debris and piles of logs all around. 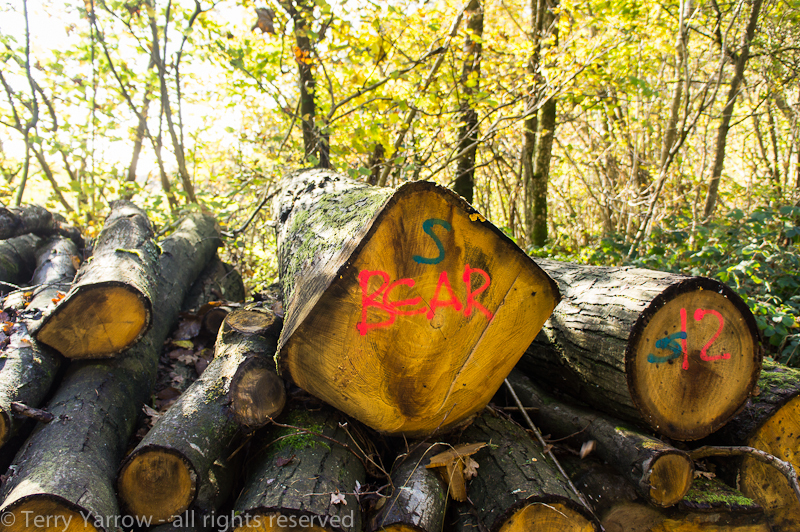 There was writing on some logs and I hoped it wasn’t a warning ;)! At the edge of the woodland, there was a lovely contrast between the warm colours of the autumn foliage and the cold blue of the sky. Such beauty! With every season, in every weather, and at all times of the day, God’s creation comes up with something new, surprises around every corner – if we just look for them. Maybe that is one of the main benefits of blogging – it makes you look for things constantly and teaches you to be aware. 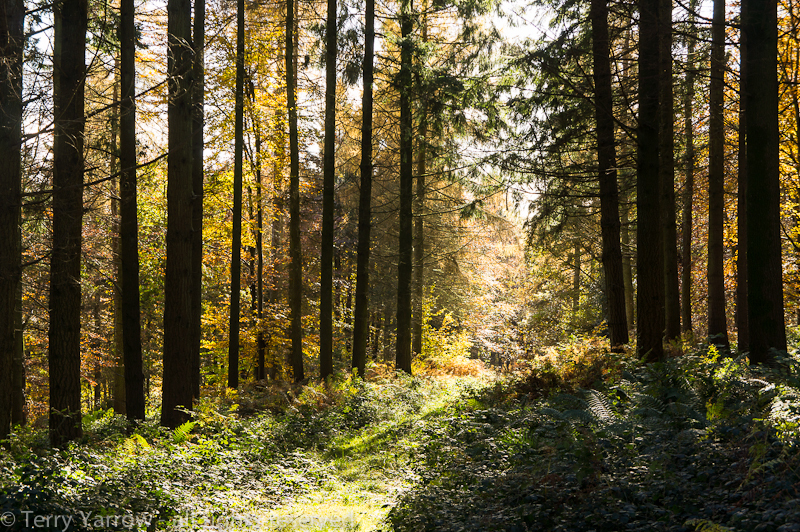 At the end of the woodlands, I stepped out into beautiful open countryside and the low autumn sun threw long shadows that seemed to be reaching out to greet me as I walked, as if wanting to shake my hand. At this point it was fast approaching lunch time which at this time of the year always poses a problem! In the dryness of summer, all that is needed is a patch of grass but in the ‘wet’ season, more is needed. I searched for a suitable log as the ground was far too wet and it made me think that land owners could be more considerate of walkers when paths cross their acreage. Just a log left here and there is all that is needed! I found one and sat to eat :)! 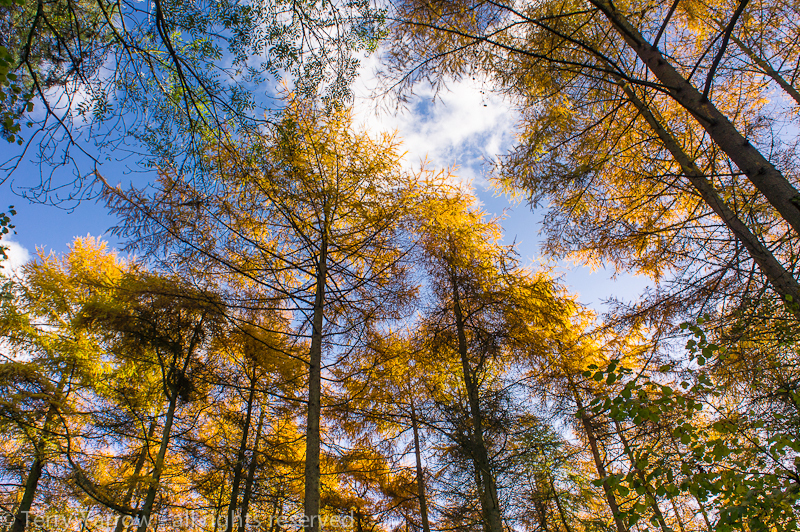 After a lunch time spent in bright, beautiful, but chilly, sunshine, I headed off into another woodland. 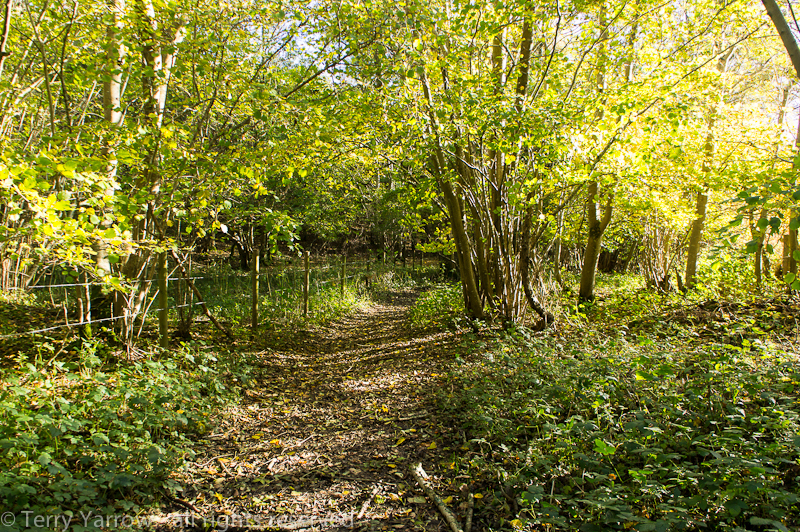 The path skirted along the edge of an old coppice woods. 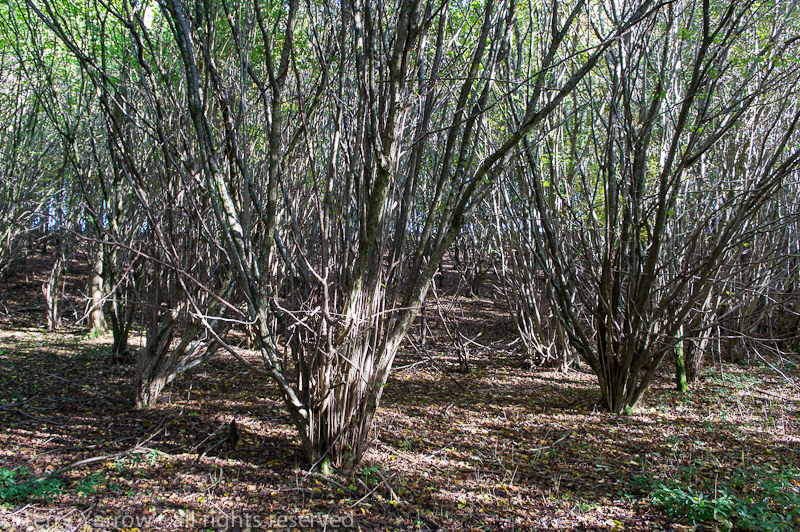 The once widespread practice of coppicing involved the harvesting of young branches to provide such things as hurdle timber, thatching spars, charcoal and so on but most operations have now ceased unless it is for conservation purposes. It seems an ideal life, working in the woods and living in a nearby cottage but I am sure it wasn’t really an easy life. Ultimately my route took me out onto a country lane. 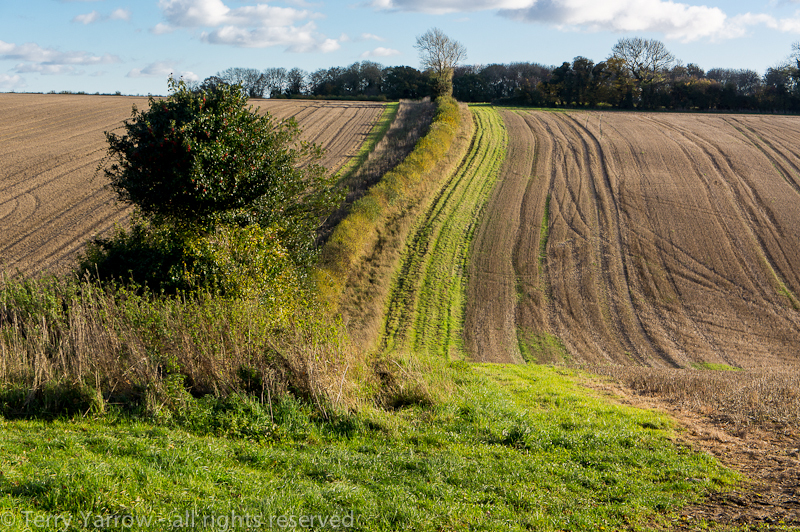 I normally try to avoid roads but quiet country lanes are different as they usually provide easy walking which allows you to look around you rather than having to watch where you are placing every step. 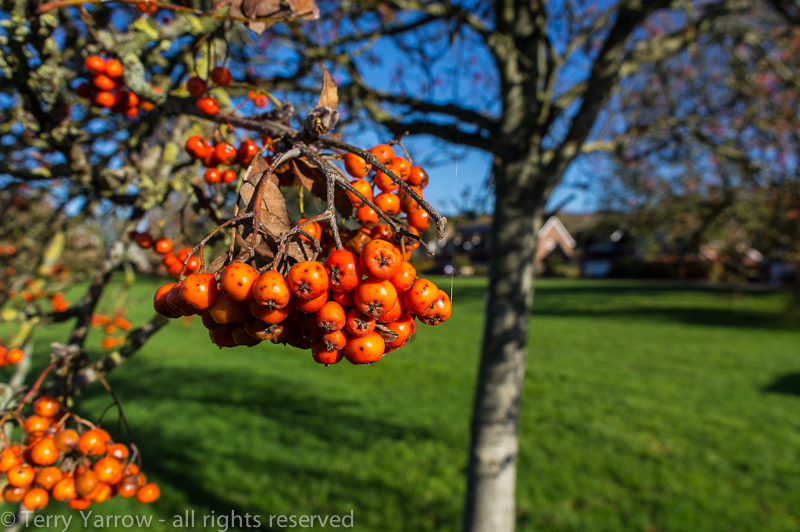 The wonderful summer hedgerows, once rife with wild flowers and butterflies have now given way to equally wonderful autumn berries and foliage. Walking down this country lane with no traffic was a delight and it led me once again onto a country track with a heavy profusion of Old Man’s Beard. This attractive plant is a form of clematis and it is fairly obvious where its nickname comes from. 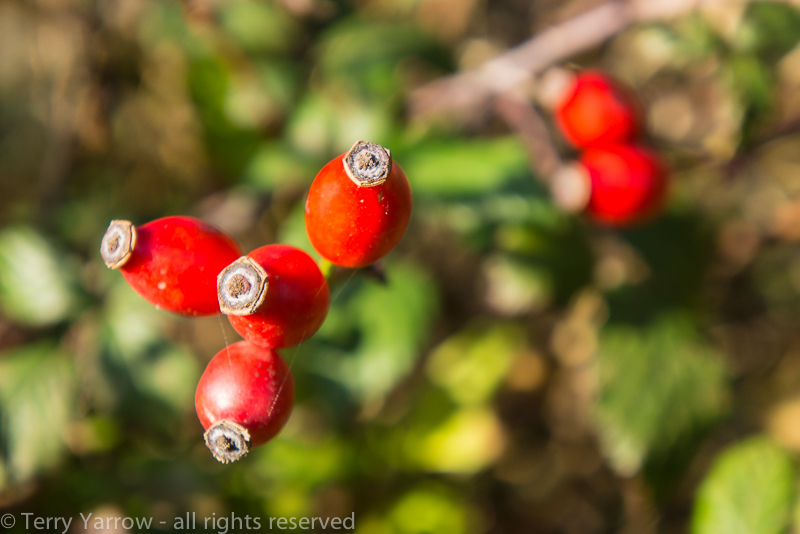 In fact, this is a plant with many names – Father Christmas, Traveller’s Joy, Shepherd’s Delight, Baccy Plant, Smokeswood, Woodbine…….. This was a lovely part of the walk, and another slice of history as it led me to a very old byway known as Smuggler’s Lane. 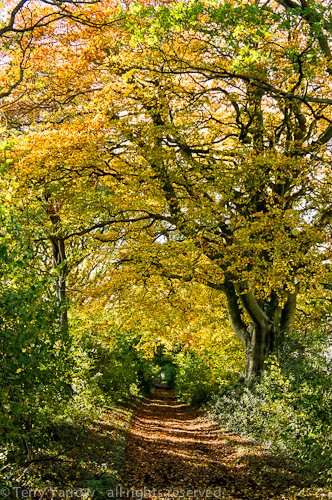 It is always enjoyable to walk this lane and never more so than when the trees which line either side are clothed in their warm autumn coats. 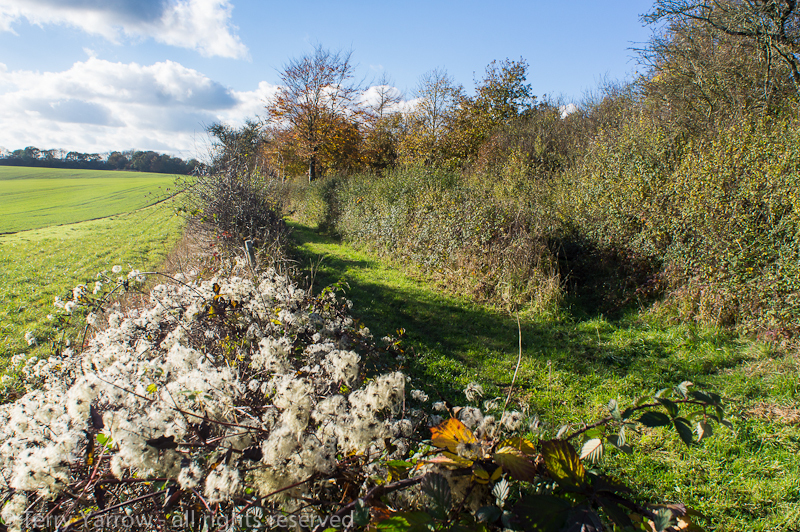 It is not clear whether this path was actually used by smuggler’s but we do know that Roger Ridout who was something of a legend in north Dorset and who was responsible for transporting the contraband inland, lived in a nearby village. 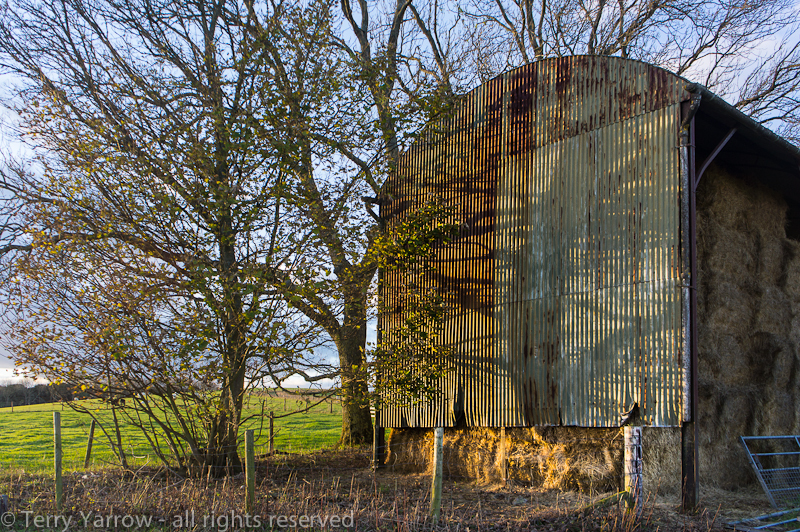 Occasionally, the covering of trees so essential for hiding the smuggler’s activities cleared briefly, giving a glimpse of the farmlands beyond, the late afternoon sun highlighting the textures created by the ruts and hedgerows. 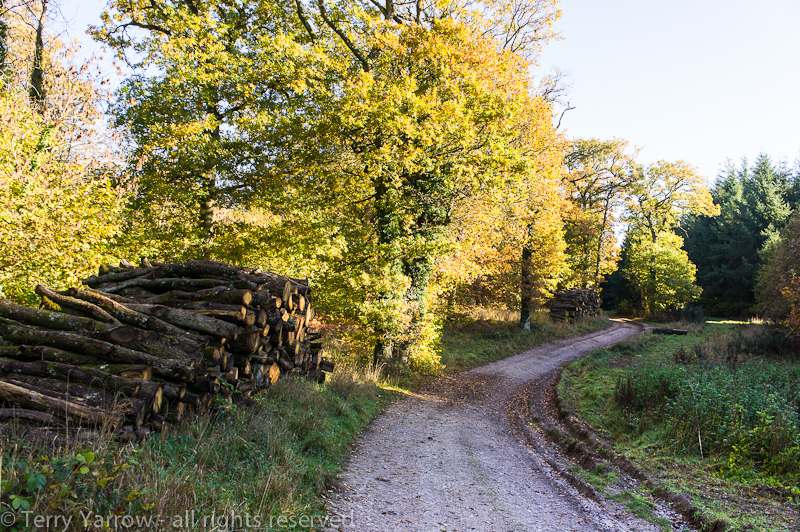 Nearing the end of the lane, I passed a lady walking in the other direction. As she approached, she threw her arms in the air and said, ‘Isn’t it bliss to be retired?’ – she wasn’t wrong there! It is one of the benefits of getting older, the freedom of being able to get out into this fantastic countryside during the daytime. If you are in that position, as I am, make the most of it! One of the other benefits of being older (I’m definitely not ‘old’) is being a granddad :)! I have a wonderful grandson who is a delight to my wife and I and although he is too young to walk with me, I so look forward to the day when my son and I will be able to take him out into the countryside and teach him to love it as we do. Three generations of TDR enjoying the countryside together 🙂 – what better! The lane eventually brought me out onto the road again briefly, passing a pretty cottage that was clearly once a gatehouse to the nearby stately home. Turning again onto a farm track I passed an old barn, and then a young couple walking three dogs, a small one, a medium one, and a rather large one. I noticed that they put the latter onto its lead as they passed me and I wondered why! 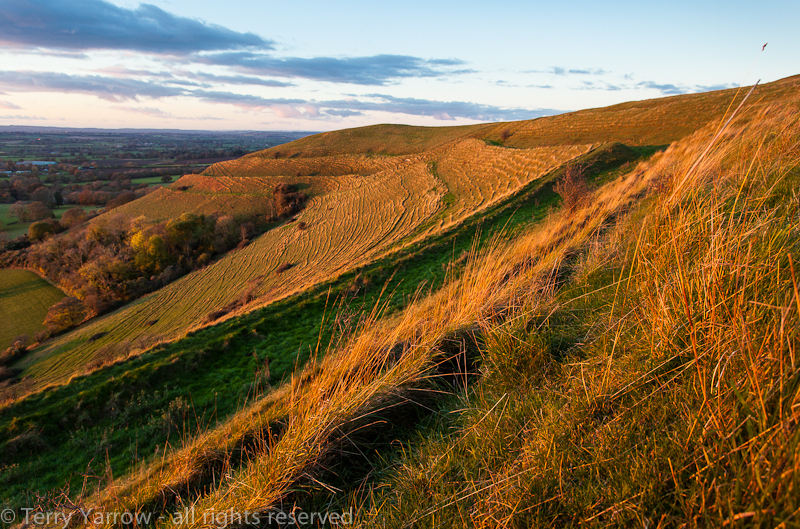 From there, I climbed up to the first of two hill forts that sit at the top of neighbouring hills. Dating originally from Neolithic times, these are seen as good examples of Iron Age hill forts, although now they accommodate only sheep and cows. To get from one fort to the other necessitated dropping down to the valley floor to climb up the other side. 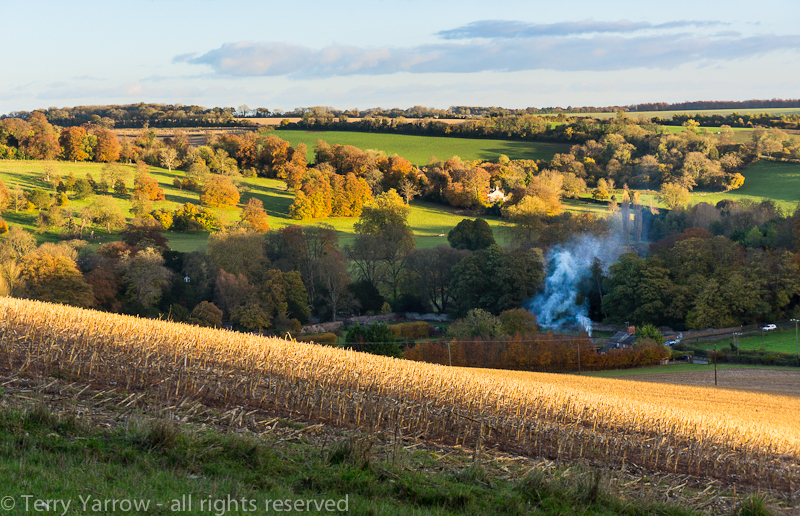 Looking across the valley, the late afternoon sun was highlighting the trees and stubble, and the smoke from the bonfire drifted lazily in the air as if tired from its day’s work. 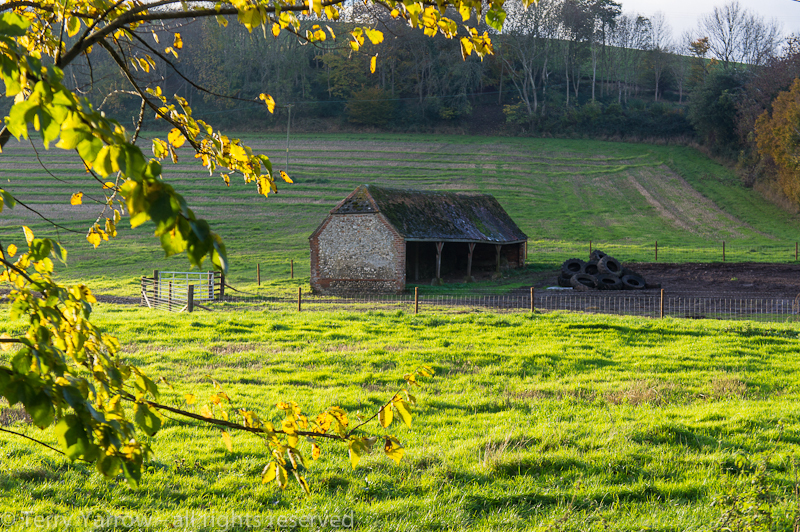 At the top of the hill, I passed another old barn and I just couldn’t help but capture the lovely evening shadows of the nearby trees being thrown by the sun. 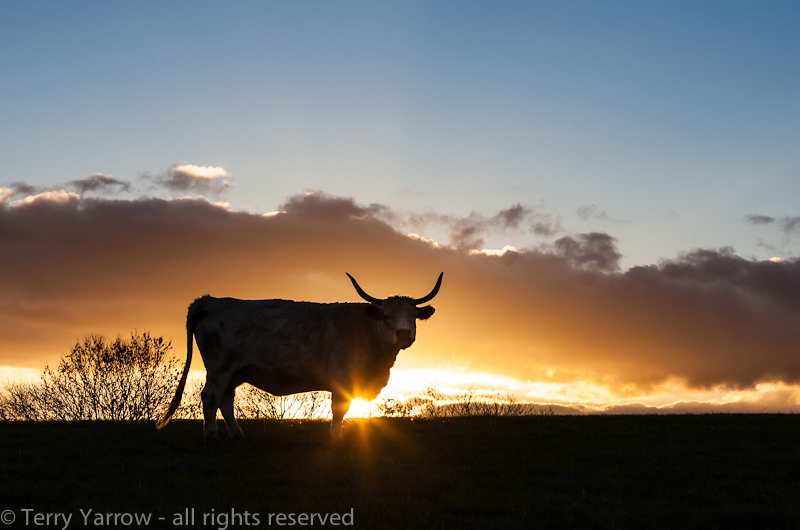 And just a little further along, a cow posed beautifully, silhouetted against the sunburst on the horizon. 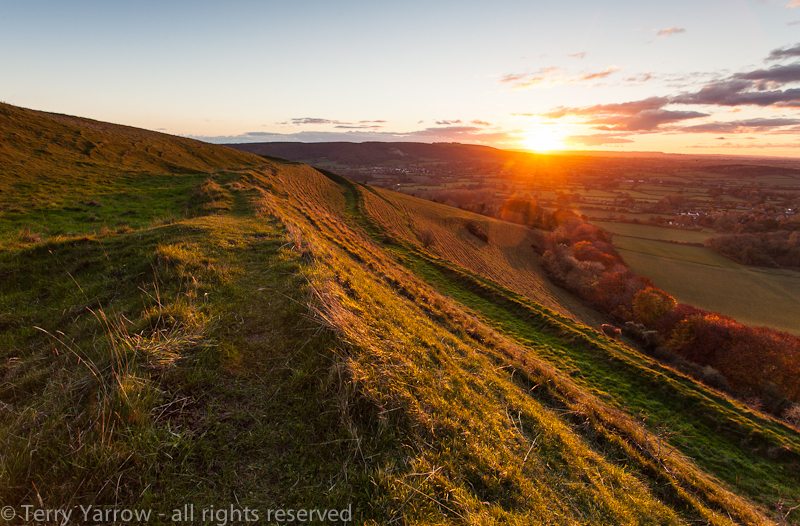 By the time I reached the second hill fort, the sun was yawning and preparing to put himself into his horizon bed. In the valley far below, the cottage chimneys were sending out their smoke signals telling the world that the end of the day was fast approaching, and I was alone on the hilltop in the gathering gloom and cold. Standing there alone in that place that dates back to Neolithic times watching the sun disappear was just awesome. I could only imagine what it would have been like to be there with hundreds of others and to sleep there in all weathers. It jus amazes me how these huge ramparts could even have been built by human power and primitive tools alone and in the most difficult of conditions. After what seemed like a blink of an eye, the sun disappeared completely, and suddenly it got even colder with the stiff breeze whipping across the hill and penetrating the layers of clothing I was wearing! I made my way thoughtfully down the side of the hill as the twinkling lights of the village cottages below acted as a beacon to guide my way. I returned to my starting point a satisfied man. What a fabulous day, a day with so much to take in and enjoy. I hope you enjoyed walking it with me. And, oh yes, I did have my gloves in my rucksack :)! 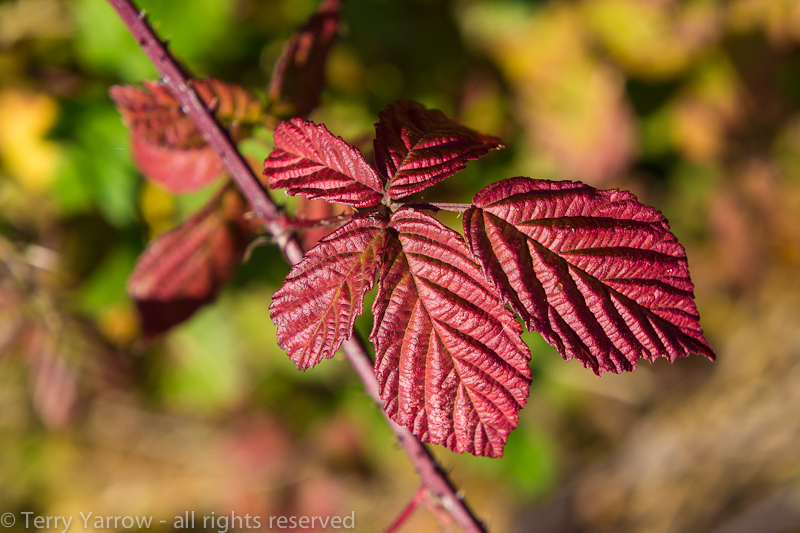 Previous A walk on the wild side…..with the camera! 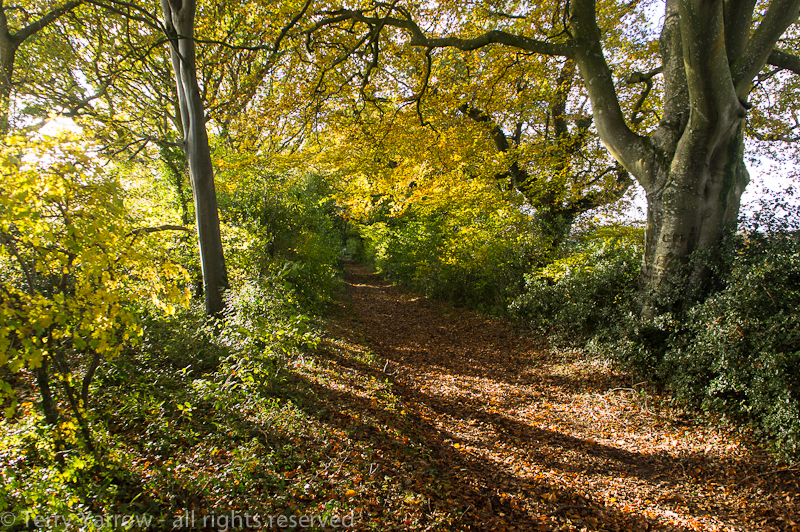 Next Of bright sunshine, eerie woodlands, raining lead shot, and a very DARK walk back! Am I being thick? What is the name of the village? Oh, lovely, lovely, lovely! I always feel as if I’ve come home to a place of rest when I read your posts. And, believe me, this month has been the kind of month that causes me to need rest desperately. Thank you for these absolutely magnificent pictures and word descriptions that take me away …. So glad your ankle and foot are allowing you to walk normally — and congratulations on your grandson. He will help keep you young even longer.